The desire for the opportunity to study with the best people and at one of the best institutions in Australia and beyond. So far, it has been an exciting and satisfying journey and I am certain that my decision to choose CIT to study still stands out as the best choice and decision I have made. How much more I am learning! 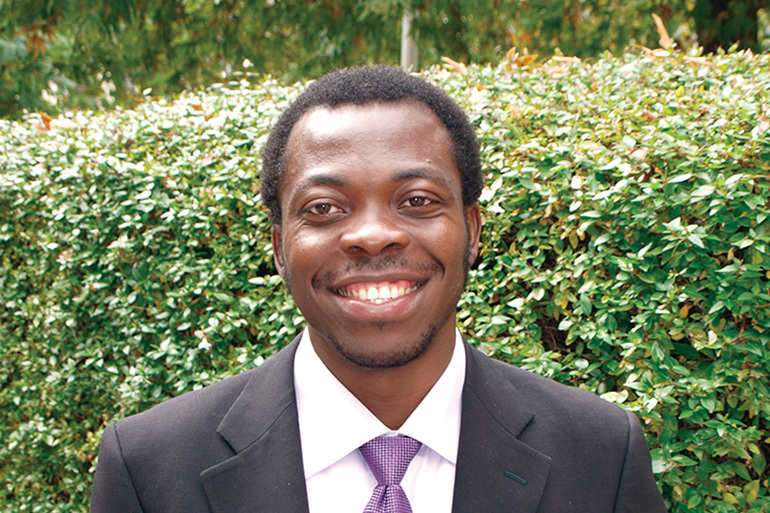 The approach to study is very unique at CIT as it gives me the flexibility to keep a good balance between my academic and social lifestyle. The teachers and staff are very professional, friendly and helpful which translates into classes that are interesting, creative and exciting. The curriculums are well organised and CIT's studying style means great learning opportunities because engagement with students creates an environment of co-operation and collaboration. CIT's teaching puts the student at the centre; hence, illustrating respect for differences and ensures the student is informed about their progress. Describe your first impressions of CIT. The environment was stunning, I felt lucky to be in Canberra studying at CIT. In addition to its excellent academic capabilities, I have enjoyed and benefited a lot from CIT's multicultural environment by forging deeper friendships and etching wonderful memories in my mind. The practical aspects of the course as well as the fact that what we are learning is not far-fetched. This practicality allows me to expand on the skills and knowledge I have learnt which will give me the edge in the industry and also improves my employability. I was simply blown away by the wonderland called Canberra and fascinated with the whole city design. In addition to providing the best education system, Canberra offers Australia's best roads, health system, hidden gems, shops for something special, galleries, world-class food, art and craft and facilities, infrastructure and the lowest crime rate in Australia, enabling you enjoy the best in cosmopolitan living. What did you enjoy most about living in Canberra? Its' unquestionable high quality of life, I enjoy the high standard of living. Canberra is culturally diverse, environmentally beautiful, has very interesting aspects and many attractions; all of these were desires that fuelled my ambition to study in CIT. I want to be a real leader or manager in the hospitality industry. CIT has played a critical role in giving me the education to achieve this. CIT has laid a good foundation for me by providing me with excellent academic capability and real industry skill. I have improved my skills and knowledge and CIT has helped put me in a better position that will enable me handle the dynamics of the hospitality industry and generally improve my employability in the industry. To all the prospective international students who are thinking about studying in Australia, CIT is the best place for you. It is an institution with a large student population that hails from different socio-economic and political multicultural backgrounds, which you will benefit from. Canberra's national attractions and hidden gems will deliver many unexpected delights. The International Services Unit at CIT's Bruce Campus is the first point of contact for international students seeking assistance and advice. Their fantastic International Student Advisors have a sound understanding of the eligibility criteria and the policy context of the program you will be going in for and can also help you if you are having a problem with your course or in your personal life. 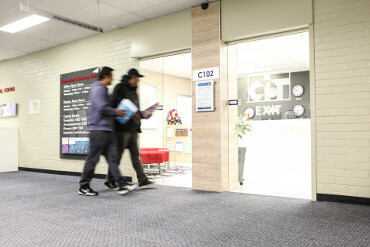 CIT has the CIT Student Services, learning centre and library services, CITSA canteens, café and bookshops and also a range of student support service programs and assistance. This means that many services are available to CIT students to make sure you do not feel lost or nostalgic; they help make CIT a home away from home! CIT courses are great - they include lectures, readings, field trips and assessment, which give students a comprehensive understanding of unit content. I also like how CIT teachers give international students valuable insights in to Australian society as part of their learning. The CIT staff are a good source of specific information for enrolled or prospective students, international as well as local students.